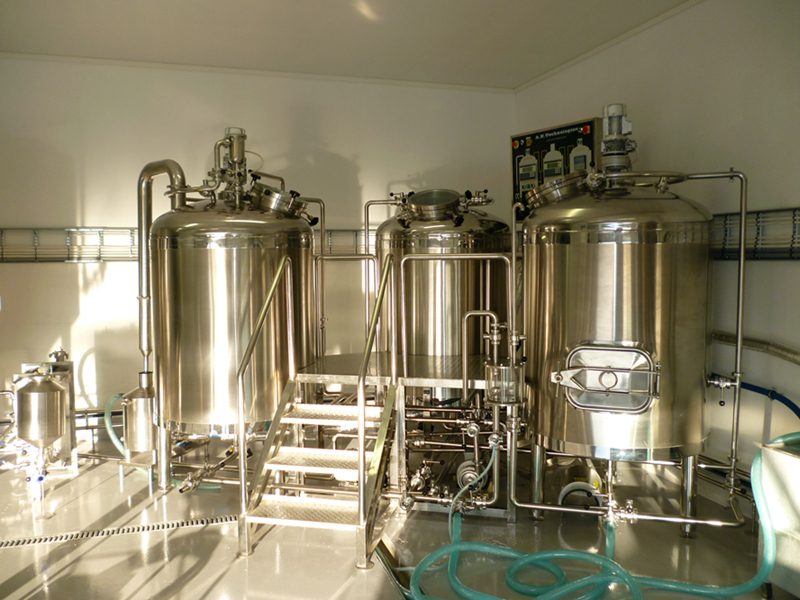 - Complete beer brewing equipment for microbreweries with production from 100L up to 1000L of beer per day. 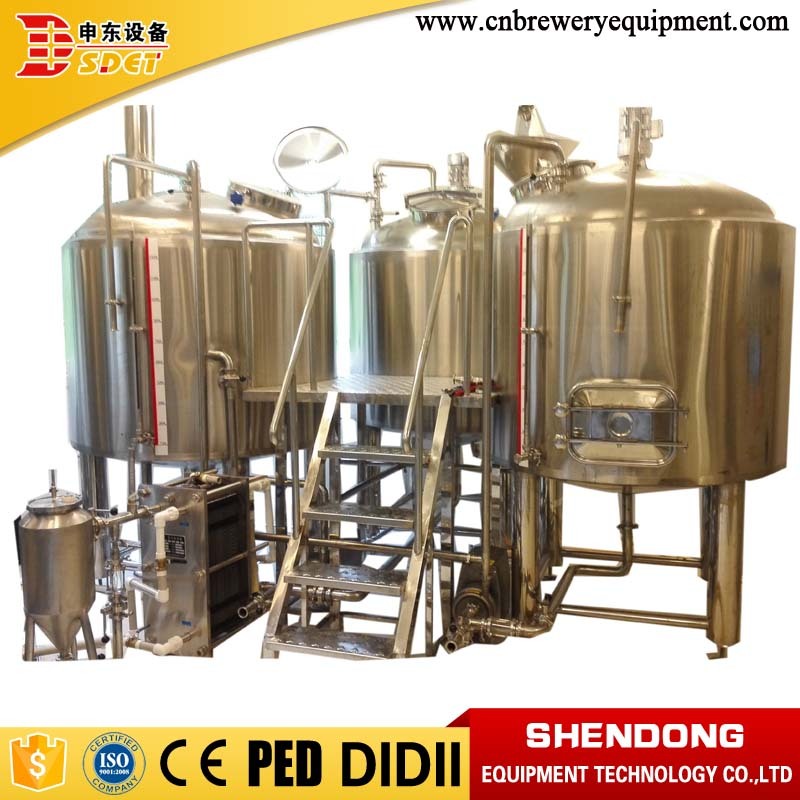 - The micro beer brewing equipment brewhouse sizes are produced standartly, but also custom-made specially composed brewhouses are manufactured on customer's request. - 100l 300l 500l beer brewing equipment is a set of popular micro brewing system.Our micro beer brewing equipment enables production of all styles of beer. You can make your beer attractive your consumers using our beer brewing equipment by unique brewing process and distinctive beer taste. Design Structure: Suspension type, screw material is SUS304, nut material is brass, very easy disassembled for cleaning. Micro beer brewing equipment brewhouse is various in combination of vessels, all kinds of brewhouse is used to achieve the same four steps mashing, lautering, boiling, whirlpool, by special brewing intentions of brewer including wort output, wort gravity, sparging water, brews in certain time, brewing method etc. The 100l 300l 500l beer brewing equipment brew house could be included two-vessels brew house, three-vessels brew house and four-vessels brew house. Two-vessels brew house includes mash/lauter tun and kettle/whirlpool tank. Three-vessels includes mash tank, lauter tun and kettle/whirlpool tank. Four-vessels includes mash tank, lauter tun, kettle and whirlpool tank. The turnkey mini brewery equipment capacity is bigger, the vessels is more. It is just in order to reduce the brewing time, improve the working efficiency. 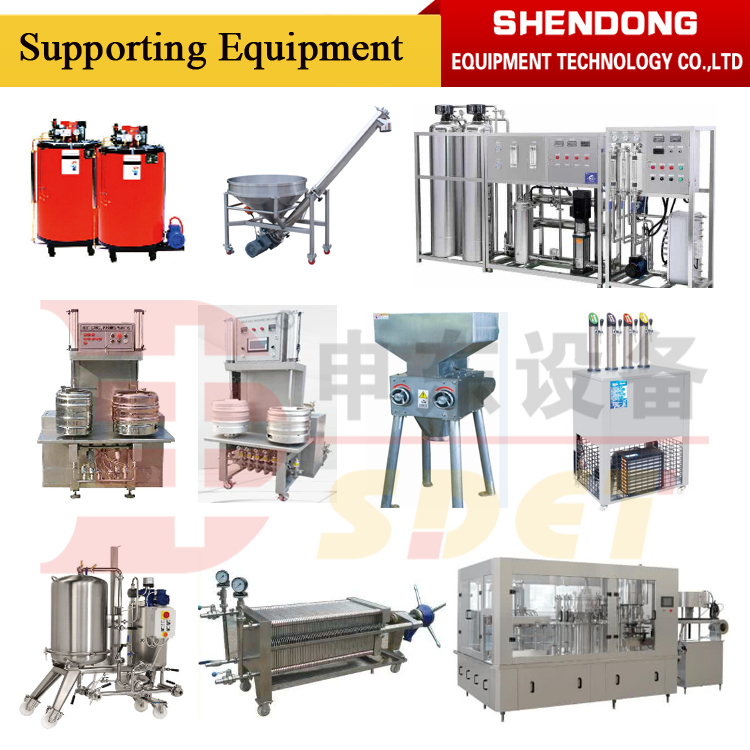 Beer brewing equipment has fermenters with shadowless manhole and a set of full sanitary sample valves, mechanical relief valve with glass and rotating racking arm. 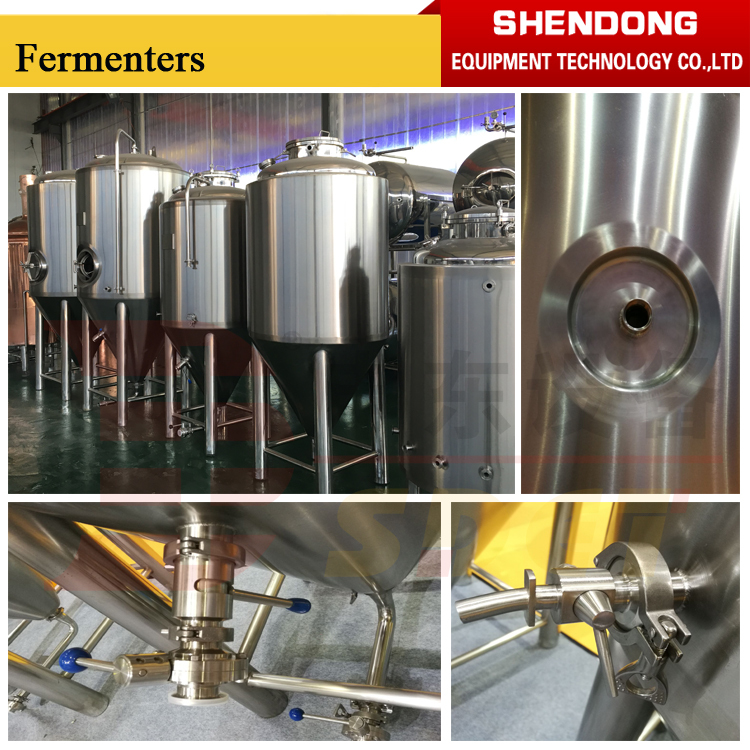 When we finish manufacturing micro beer brewing equipment, we will test tank and jacket leakage by water and pressured gas stringently. The design pressure is 0.3MPa, working pressure is 0.15Mpa. PT100 Temperature sensor for high accuracy temperature control. 1. Micro beer brewing equipment material, we adopt high quality food grade material , many brands of accessories like pump , miller, refrigerated group for your choice. 3. High quality Insulation material: PU or rock wool. 4. 100% TIG welded joints, make the beer brewing equipment can be used for a long time. 5. The manhole is stainless steel/shadowless manhole, durable and beautiful. 6. This filter plate is made on a complete stainless steel by CNC lathe, it is strong, filter fast and leak no any grist. We also can offer the auxiliary machine to help you fill the beer and sell it. We can give you the professional service and competitive price. The range includes filter machine, bottle filling machine, kegs filler and washer, labeling machine and the other set of auxiliary machine. Exclude the 100l 300l 500l beer brewing equipment. We can offer the other set of beer brewing equipment. 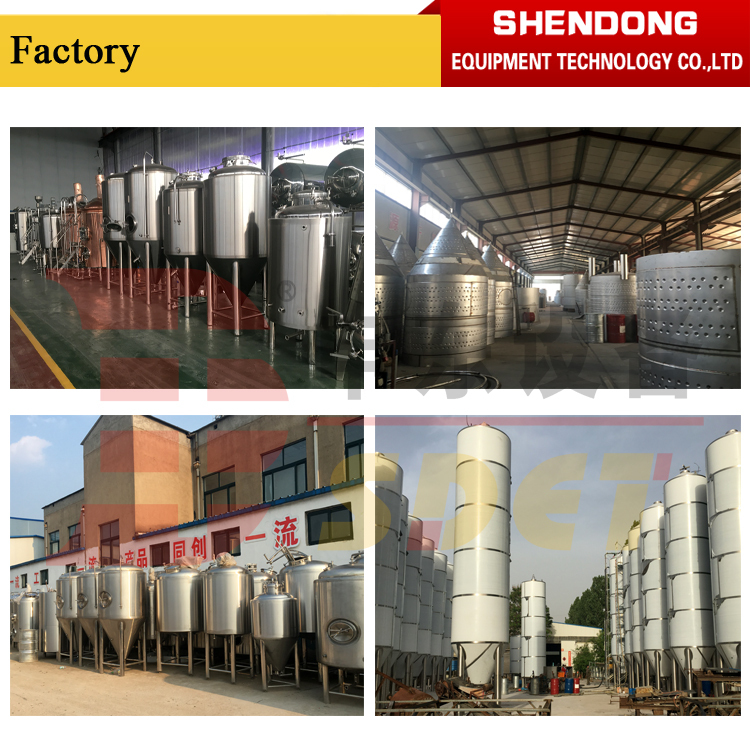 - Shandong Shendong Equipment Technology Co., Ltd is one of the most professional beer brewing equipment manufacturer and supplier I nthe Spring City-Jinan, We have the most advanced technology and world class at Shendong. - Shendong is integrating with R&D, processing and engineering installation which is specialized in manufacturing beer equipment and facilities, not only suitable for micro and middle breweries, but also becomes the best choice for beer brewing in top hotels, pubs, cabarets, home and other amusement places.The characteristics of this equipment are fabrication at scene, maintain the freshness and nutrition maximum. 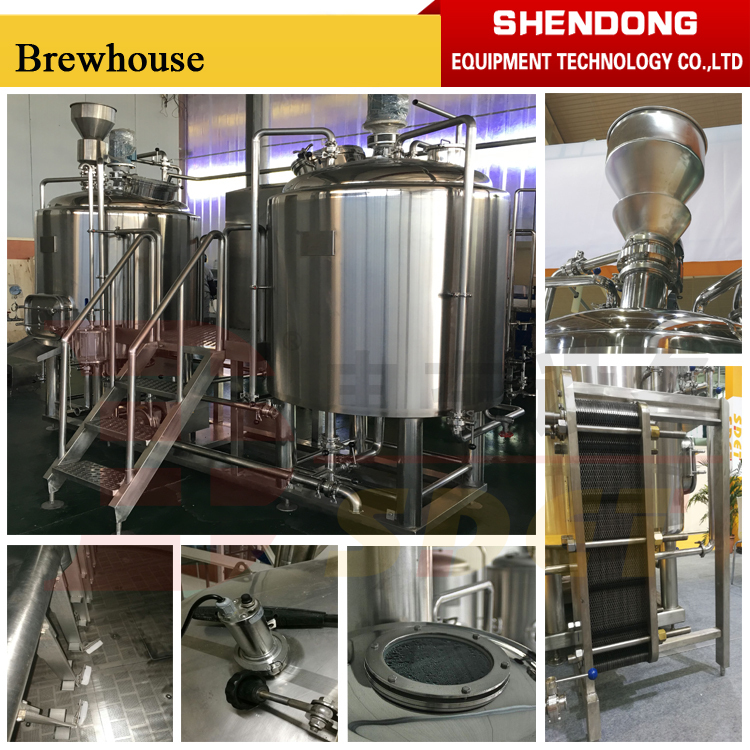 - Shandong unique brewing equipment is confidant to keep pace with fast changing of international brewing market. We guarantee the highest quality and best price . And welocme to inquire and visit to our factory. Our beer brewing equipment has gained a series of patent certificates and certification, such as CE certificate, PED certificate, pressure vessel manufacturing license and a series of certification. 1. With more than 40 years brewing experiences, we are more professional. 2. 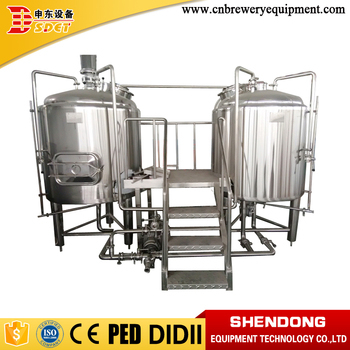 As manufacturer of beer brewing equipment with our own factory, the price is more competitive. 3. 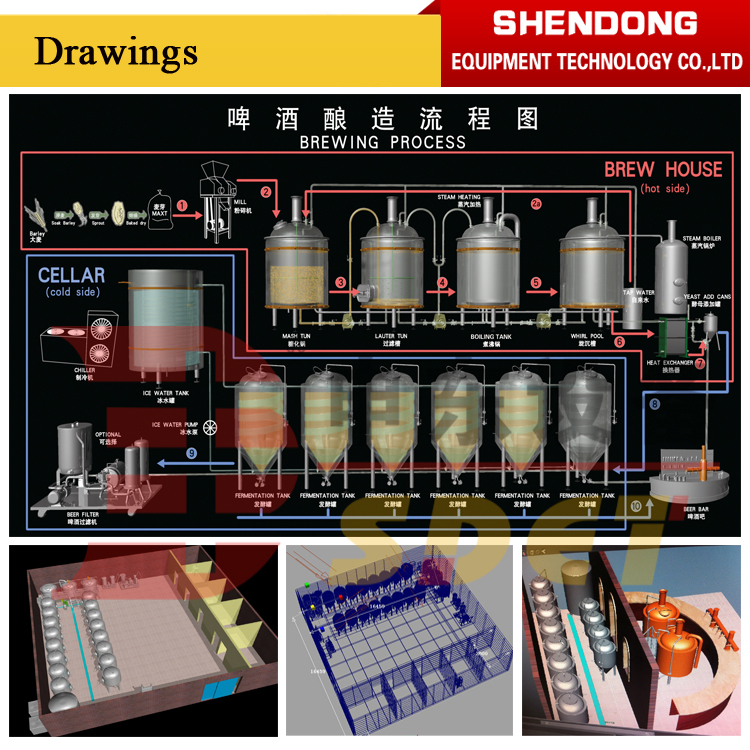 3D & CAD drawing, design and maintenance according the micro beer brewing equipment for free. 4. 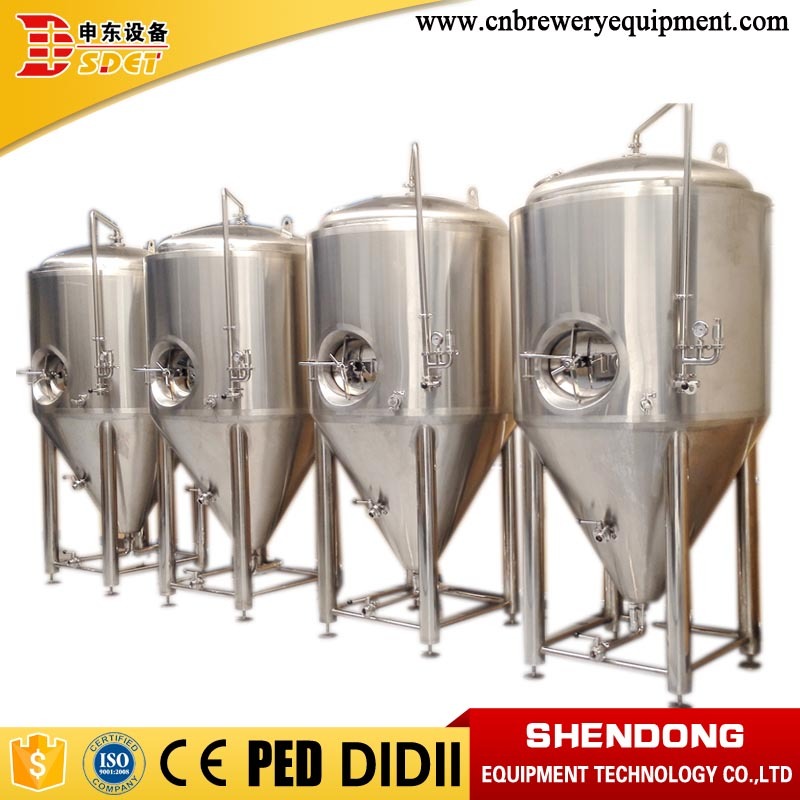 100l 300l 500l beer brewing equipment is 100% tested..
5. Engineers available to service installation and training overseas for free. 6. 5 years warranty for the main equipment. 8. Term of payment : T/T, trade insurance and L/C is available. Micro beer brewing equipment has been sold around the world in the past few years in many countries. 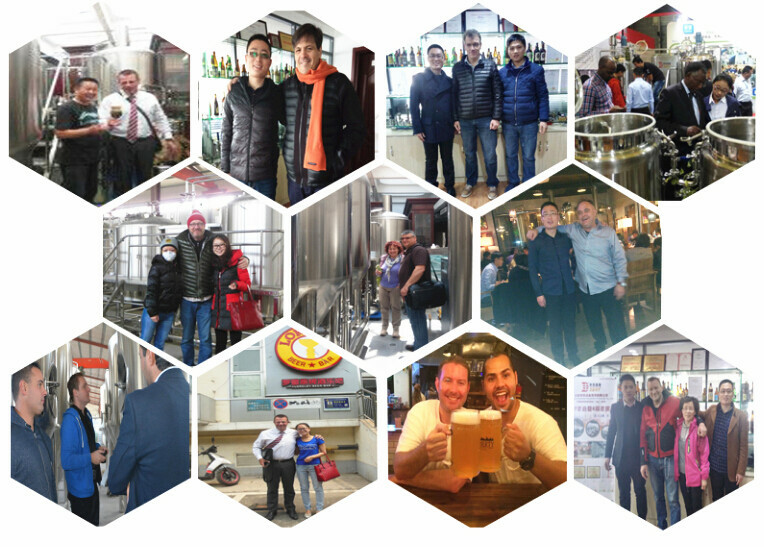 Due to the excellent quality and good reputation, we have opened the market in many countries,our beer brewing equipment have export to USA, Germany, Uzbekistan, Romania, Brazil, Ecuador, South Africa and other countries, and our customers also give us a high rating and recognition. If you need, you can go to local brewery to visit. 1. Using soft material to wrap the 100l 300l 500l beer brewing equipment, then using steel frame to fix the micro beer brewing equipment, next, if customers need, the beer brewing equipment can be putted into the wooden box.Finally, the micro beer brewing equipment will be fixed confirmly in the container. By the way, If customers have any requirements on packaging which is suitable for overseas transportion, we can do it according to customers' needs. Delivering from Qingdao/Shanghai port within 30-45 days after the deposit. Customers can choose letting us deliver directly to the pointed place, or arrange shipping in person. 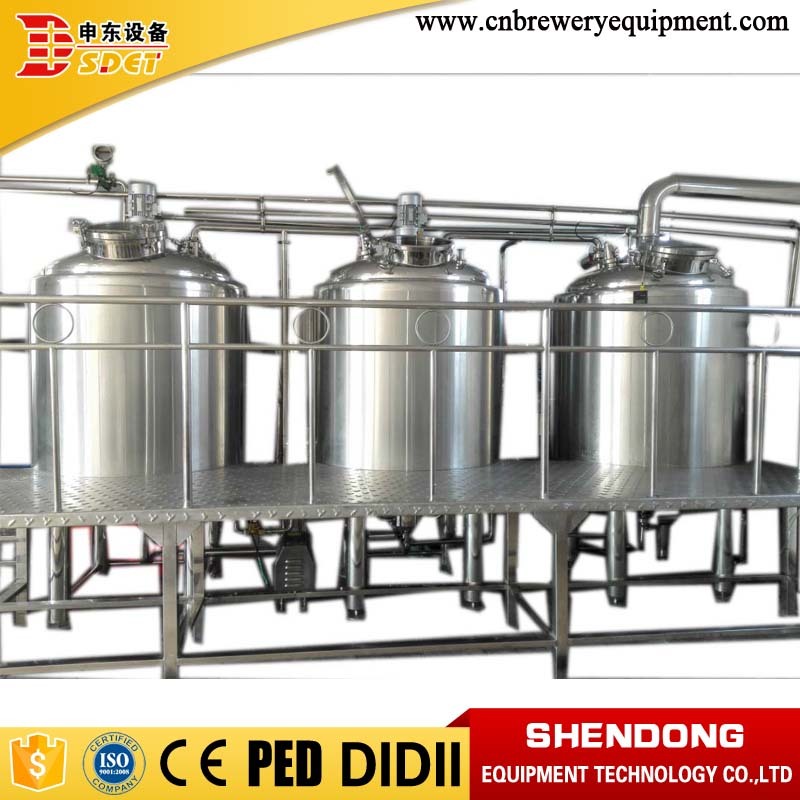 A: We are a professional beer brewing equipment manufacturer in this field. A: The main turnkey for 5 years, auxiliary ones for 1 year. 3. Q: Is possible to supply installation in our country ? A: With our electric heating mini brewery equipment can make different kinds beer,ale,lager ,IPA ,pilsen beer and so on. 5. Q: What utilities do I need for a brewery? The size of the water connection is determined by the size of the brewery but for most projects 5.000 liter of water per hour with a pressure of 3 bar is sufficient. For your steam boiler a natural gas connection or a tank with light oil will be needed.